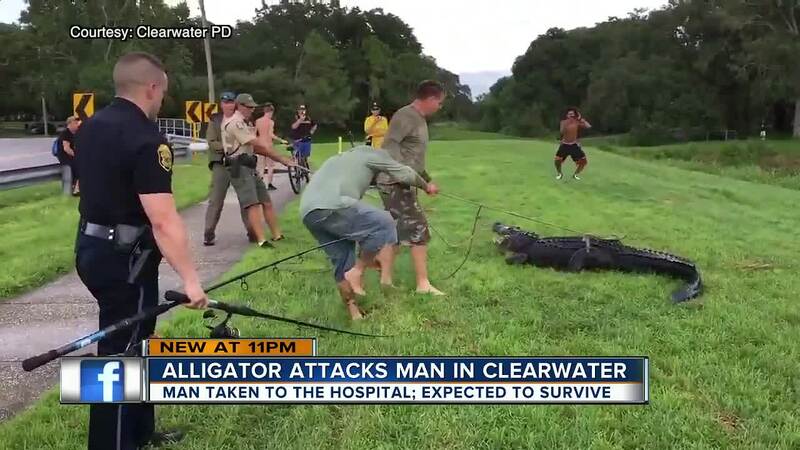 CLEARWATER, Florida— — A 35-year-old man was bitten by an 11-foot alligator on Monday afternoon while playing disc golf in Clearwater, officials say. FWC officials said the gator bit the man on the arm around 5 p.m.
Clearwater Fire Rescue said that the man was trying to retrieve a disc from a pond at Cliff Stephens Park when he was bitten. The victim was taken to Mease Countryside Hospital with non-life threatening injuries. "There are gators out there. It's not worth it. I understand you want to make a few dollars and the discs are worth a lot of money depending which kind you have, but it's not worth risking your life. 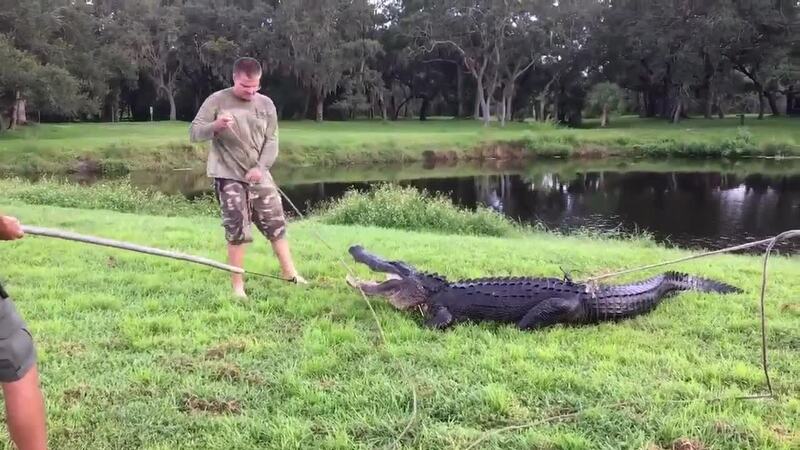 There are big gators out there," said Derrick Moody, a Clearwater resident. Florida Fish and Wildlife Conservation Commission is handling the investigation. Licensed state trappers who responded to the scene were able to capture the alligator and remove it from the lake. Trappers also removed a smaller gator from the lake. "We noticed that this alligator was showing behaviors that it was not afraid of people," said Ashley Tyler with Florida Fish and Wildlife Conservation Commission. FWC says that both the alligators removed from the pond will be euthanized. "Relocating nuisance alligators is not a responsible option for people or alligators. Relocated alligators nearly always try to return to their capture site," FWC's website reads. "In the process of returning, they can create problems for people or other alligators along the way. If an alligator successfully returns, capturing it again would be necessary and usually more difficult the second time."